New Nintendo DS Portable Handheld Confirmed? IGN has made claim that they have investigated the rumors of the new Nintendo DS console and that a refresh of the Nintendo DS hardware is in development! 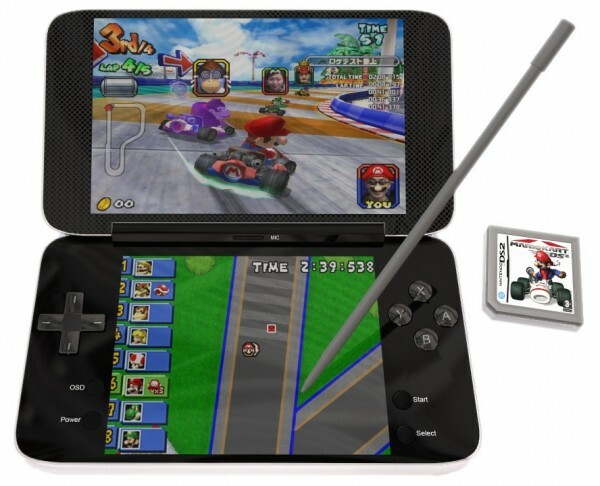 The new Nintendo DS unfortunately will not be in your hands this Christmas however. The current launch window for the new hardware is April or May of next year. The new DS will feature dual screens just as its predecessor, however they will now be in wide format. Also, instead of just one touchscreen both screens will be touchable. Perhaps this will mean that old DS titles will be enhanced to wide format, or just scaled down to fit within the wide screens. Most likely the upper touch screen will be disabled with the use of old DS titles, unless they have secretly been developed to include this ability. If any official announcement is to be made it will most likely happen at the Tokyo Gameshow in Japan this year on October 9th through the 12th. We should find out if this is going to be Nintendo DS 2, or just a hardware upgrade at that time. IGN’s article can be found here. Join the Nintendo DS 2 discussion in our forums!